As part of the EU-Turkey-Deal the EU offered a payment of 3 billion Euros until 2018. The way the budget is used has always been criticized, particularly because of the lack of transparency and efficiency in distributing the aids in a fair manner for those in need, both by the refugees and the actors in the field. Now in its final report even the EU’s ECA criticizes the distribution of the budget, stating that a large amount of it has been wasted due to a lack of efficiency and effectiveness. Furthermore it clarifies that for a big amount of the EU-money it is unknown what it actually was spent on. Once more it becomes clear that while in the context of the EU-Turkey-Deal the sealing of the European border to Turkey is effectively enforced, the promised support for the refugees in Turkey does often not reach them. Via euobserver – The EU is unable to verify with certainty how over €1bn of European taxpayer money was spent on Syrian refugees in Turkey because of Ankara’s data protection laws. “I can say that this is a serious situation,” chief European auditor Bettina Jakobsen told reporters in Brussels on Monday (12 November). “Normally as an auditor you would say you would like to follow the flow of money from the cradle to the grave. And we cannot do that here,” she said. Although money still ended up helping the Syrian refugees, the auditors say doubts have been raised given Turkey’s refusal to provide access to documents. Jakobsen’s comments follow a report by the European Court of Auditors, a spending watchdog based in Luxembourg, on how EU funds in Turkey were spent to help Syrian refugees. The EU in 2015 agreed to provide €3bn of funds to help refugees in Turkey as part of an agreement to prevent them from leaving on boats to reach the Greek islands. But neither the European Commission nor the European Court of Auditors is able to fully trace how over €1bn was spent on two humanitarian programmes designed to provide cash assistance to Syrian refugees. The auditors had wanted to compare Turkey’s registration list of refugees with the list of refugees getting the EU cash but were refused access by Turkey’s ministry of family and social policies, citing Turkey’s data protection laws. They were instead given anonymised banking details, which they were unable to check against the list of beneficiaries receiving the cash assistance. “When you fund things, you would expect to have full access to documents,” said Jakobsen. Most of the EU funding is shuffled through UN agencies that then disperse it through local NGOs and other humanitarian partners via banks. This includes the two cash assistance programmes known as the Conditional Cash Transfer for Education (CCTE) and Emergency Social Safety Network (ESSN). 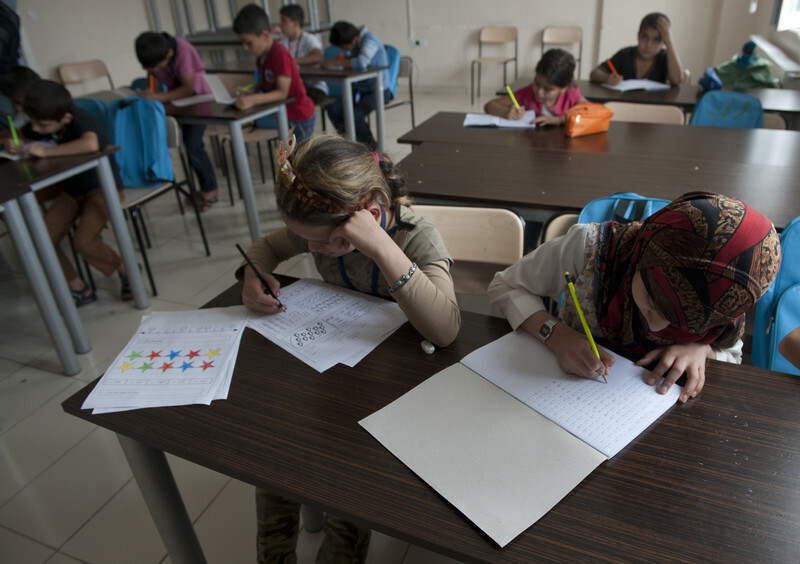 CCTE helps Syrian children pay for school supplies and is funded mostly by the EU. The programme is also funded through grants from Norway and the United States. The ESSN provides money for things like food and rent. Both issue the funds through special cards. The personal information of the beneficiaries of the two programmes is first given to Turkey’s ministry of family and social policies but who then refuse to share it with the UN and the commission. The auditors point out that the UN had created additional internal controls to mitigate risks but still cannot guarantee zero errors or mistakes. “We can say that the money goes to refugees, but we cannot concretely say that all money goes there,” said Jakobsen. Philippe Duamelle, who heads the UN agency for children (Unicef) in Turkey, explained to this website in May how they verify and control conditional cash transfers for education. He said beneficiaries first need to register at local branches of the ministry of family and social policies. They then fill out a form, which then goes into the ministry’s system to assess eligibility criteria. Syrian children are required to have an 80 percent school attendance rate to remain within the programme. The attendance rate is monitored by Turkey’s ministry of education, which is then data mined by the ministry of family and social policy. “Then the information is provided for Unicef and if the children who are eligible for the payments, based on that and our verification process, we make the payment to the bank which has a partnership with the Turkish Red Crescent,” he said. He said the families are then informed via text message when money has been uploaded to their cash assistance cards. But the auditors pointed that this payment system may contain other perils. They found cases where the interest generated on the money at the banks was handed over to the implementing partners. It means the interest is not going to help the refugees nor being returned to the EU taxpayer. This article was originally published by euobserver. Via AIMS Turkey – The EU’s European Court of Auditors (ECA) released their final report on the Facility for Refugees in Turkey yesterday. Here’s a short summary of the 63-page report which contains quite astounding observations regardingthe implementation of the EU-funded projects toward refugees in Turkey. The EU’s first tranche has funded 2 different strands including the humanitarian and non-humanitarian (development-oriented) projects that are operated/managed mostly by several UN agencies or international NGOs (INGOs). The ECA’s auditing has focused on 10 humanitarian projects (out of 45 humanitarian projects funded by the EU) as they think the non-humanitarian projects need more time to be evaluated. The ECA does not seem to be quite satisfied with the overall outcomes of the projects with regards to efficiency and effectiveness. Meanwhile, the words effective and efficiency have been used 29 and 36 times respectively in the report mostly to stress the shortcomings. The ECA strongly complains about the insufficiency and reluctance of some Turkish authorities to provide proper statistical data regarding the beneficiary refugees as well as to ensure assistance for the auditors in reaching out the beneficiaries. The ECA argues that some projects funded by the EU are quite similar to each other and lack diversity. The ECA contends that assessing the ratio of administrative costs to the operational costs as well as the cost per beneficiary has not been made properly by the project holders in many cases. Likewise, the Commission is said to have failed to weigh how reasonable the projects and their costs were in the process of funding them since major budget inconsistencies have been spotted among similar projects. The ECA shares some significant observations regarding the Emergency Social Safety Net (ESSN) which is the largest project within the Facility (nearly 1 billion euros). The efficiency ratio of the ESSN has been miscalculated since it disregarded the expenses covered by the Turkish Government according to the ECA. The main holder of the ESSN, the UN World Food Program (WFP), which is mentioned in the text solely as the UN implementing partner, has allocated the 7 percent of the whole budget (64 million euros) of the ESSN for its own administrative/managerial costs with no reasonable argument. Furthermore, 8,9 million euros have been spent by the WFP’s local partner (the partner not specified) for the provision of `cash transfer fee`duty although the money could have been transfered directly without such a channeling mechanism. The ECA notes that the Facility results framework, the Commission’s monitoring mechanism regarding the achievements of the Facility is not shared with the public. The report highlights that half of the audited projects have not reached their expected achievements. 80 percent of the audited INGOs funded by the EU have not been able to achieve their planned outcomes in their refugee relief projects in Turkey. As a response to the observations brought by the ECA’s report, the Commission strongly advocates the structure and trajectory of the Facility and keeps its optimistic stance regarding the outcomes. However, the Commission also accepts all of the recommendations of the report. This article was originally published by AIMS Turkey.